George, Miles & Buhr, LLC (GMB) was established on January 1, 1960 by Thomas S. George, Jr., A.I.A., William B. Miles, Jr., P.E., and Victor W. Buhr, P.E. Mr. George and Mr. Buhr were previously associated with Victor W. Buhr and Associates. Victor Buhr was a retired Admiral of the U.S. Navy thereby providing GMB a long list of naval contacts and clients. Many of the early projects for GMB were military-related and located in the Norfolk, Virginia area. At the same time, GMB began to establish its municipal engineering and architectural heritage through Mr. Miles and Mr. George. GMB’s initial office was located on the 3rd floor of the current First Shore Federal Bank building in downtown Salisbury. The 1970’s saw a shift from military projects toward the now-established municipal engineering and architectural practices. GMB served as the municipal engineer for many of the towns and cities on the Eastern Shore of Maryland and southern Delaware including Seaford, Lewes, Hebron, Hurlock and Delmar. At that time, municipal projects were focused on water and wastewater engineering projects that took advantage of the newly established EPA funding program. Several stormwater/sanitary sewer separations were completed during this time along with numerous wastewater treatment plant upgrades and expansions (Seaford, Ocean City, Delmar and Georgetown). GMB completed many important architectural projects in the ’70s, including the new Parkside High School in Salisbury and the Wicomico County Free Library. In 1976, GMB relocated to 724 East Main Street to accommodate its growth to approximately 15 employees. The 1980’s saw a continued demand for GMB’s civil engineering services as work carried forward in the municipal sector. Sussex County became a client as GMB developed the South Coastal Area Planning Study and designed the South Coastal Regional Wastewater Facility outside of Bethany Beach. In 1985, GMB expanded to the Western Shore of Maryland where an office was opened in Hunt Valley. That office, relocated several times, continues to operate today from the north Baltimore area. GMB established a strong structural-marine presence during the ’80s, completing several marina projects in the area including Somers Cove Marina in Crisfield, Maryland, Sweden Point Marina in Southern Maryland and Fort Washington Marina outside of Washington, D.C. The 1990’s were dominated by GMB’s participation as the lead engineer of the new West Rehoboth Sanitary Sewer District for Sussex County, Delaware. The $88-million project was, at the time, the largest non-Federal infrastructure project in the State. GMB also engineered the Dagsboro-Frankford Sanitary Sewer District system for Sussex County to serve those municipalities. GMB was honored to receive the Grand Award from the American Council of Engineering Companies of Maryland for our Back River Wastewater Treatment Facility project which created a plant that could experiment with nutrient removal via several methodologies simultaneously. Architecturally, we were pleased to complete the City of Salisbury Police Station and University of Maryland Eastern Shore Student Residential Complex. In 1991, GMB relocated our main office to its current location on the Downtown Plaza. In 2001, we opened a branch office in Seaford, DE to better serve the needs of our clients in the Western Sussex County area. The residential housing boom through the 2006 allowed GMB to expand our land development engineering services. GMB designed several award-winning developments including the Bayside project outside Fenwick Island, DE, The Village of Five Points and The Vineyards Village near Lewes, DE, as well as Sunset Island in Ocean City, MD. GMB completed several valuable international projects jointly with Baylor University. Pediatric AIDS clinics were constructed in several countries including Botswana, Romania, Lesotho, Swaziland, Malawi, Uganda, and Tanzania. GMB continues to serve our municipal clients as trusted advisor on engineering matters. GMB assisted the City of Lewes through its $30-million capital improvement plan culminating in the receipt of the Grand Conceptor Award from the American Council of Engineering Companies of Delaware for the Howard H. Seymour Water Reclamation Plant upgrade and expansion. GMB works closely with other long-term municipal clients including the City of Seaford, DE, Town of Denton, MD, City of Fruitland, MD and Pocomoke City, MD. GMB has assisted the Town of Laurel over the past several years in many capital improvements including the upgrade and expansion of their wastewater treatment facility, and extension of water and sewer to newly annexed areas. Our Baltimore office completed several large infiltration/inflow projects on the Western Shore and recently completed the first enhanced nutrient removal wastewater facility in the State of Maryland at the Mattawoman plant. 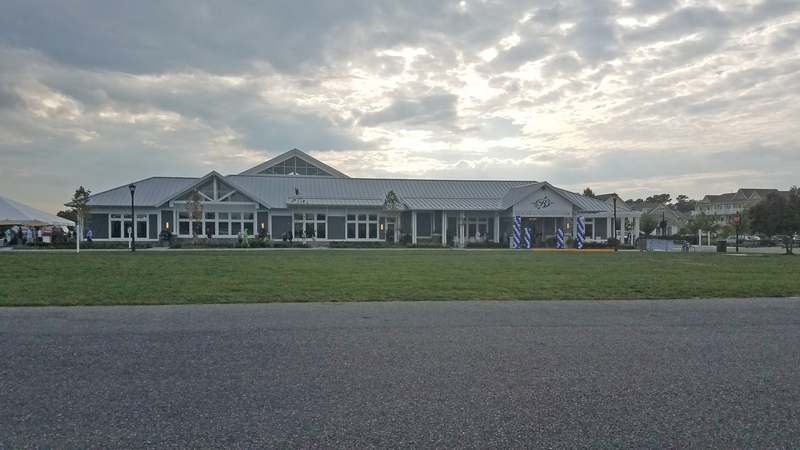 We are proud of our recently completed architectural work, including the Delmarva Christian High School in Georgetown, DE, the Epworth United Methodist Church in Rehoboth Beach, DE, and Community Health Centers in Onley and Atlantic, VA.
GMB is pleased to have provided over 57 years of service in the Mid-Atlantic region. Our dedicated team of approximately 75 employees continues to offer our long tradition of municipal, civil, structural, electrical engineering and architectural services. We strive to be the trusted advisor to our clients and to meet our purpose of “Pioneering Solutions to Safeguard Our Environment”.